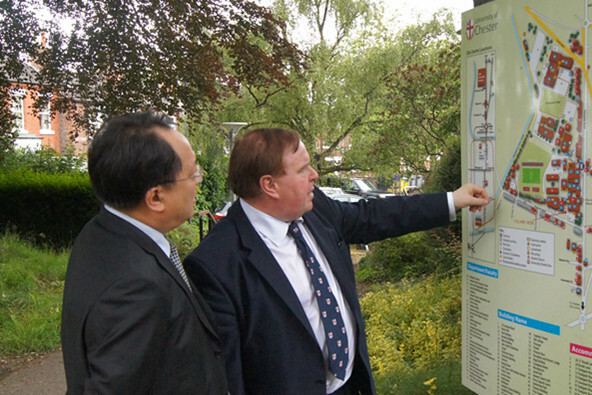 On 27 June, Consul General Pan Yundong paid a visit to the University of Chester, where he was met by Vice Chancellor Pro. Tim Wheeler, Mrs. Marilyn Wheeler, Faculty of Business Executive Dean Pro. Phil Harris, Faculty of Applied Sciences Dean Pro. Sarah Andrew, International Office Dean Pro. Alexis Mclean. 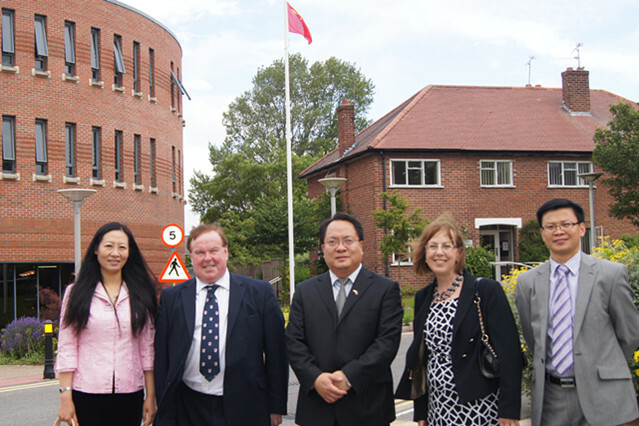 Consul General Pan's wife, Consul Zhu Yu, Consul Zhao Jixian and Consul Wu Zhaosheng accompanied the visit.